Home Security Houston - Home Security Systems Up To 25% Off Retail! Quick, professional home security system installation. Great doorbell video camera. Service repairs done fast on my video cameras, technician called before coming out and was on time.Customer service at its finest! Very satisfied customer for over 5 years, highly recommend Alert 360! Your Tech Mgr (Adrian) did a great job working my home security system. His guy Raymond was awesome in finding the problem and making the correct repair. My zwave front light is working properly. Again 5 + STARS. Very Courteous Customer Service and prompt response on any technical issues, Satisfied Customer for over 3 years and just renewed my contract today! They deliver what they promise I’ve been with them for 18 years thanks for a good job. Fast service , nice conversation , great communication. Our installer was courteous, professional, capable and polite. Our system is everything we hoped for and works like a charm. The price was fantastic and there was not a single glitch in the process. Very happy and would highly recommend! Installer was on time. Everything installed as requested.ly!!! The tech was knowledgeable and professional. Helped with the setup and made sure I was good to go. Great customer service, great value, and the technician that installed our equipment was very knowledgeable and friendly. Excellent service from the technician that came. He arrived on time and was very professional about the job. I am happy with the service and quality of work. Thanks John. The service tech was very nice & knew what to do to solve the problem. Also showed me how to reboot if it happens again. The repairman was very polite and he was willing to show everything about our alarm system. We were very thankful that the sales rep (Tami) was not high pressure like one of the other companies that’s starts with an “A”. Thank you for the professional install by Antonio. We are very pleased and we plan to make some upgrades in the near future. As a 25 year police officer, I highly recommend ALERT 360 products. This team really understands the meaning of customer service. They are always available and are happy to describe features. Appreciate the honesty on pricing and their professionalism. A+ Experience. I will recommend Alert 360 to anyone considering a new security company. Gene, the tech, was on time and quickly diagnosed the problem. Then he repaired the issue and had my security camera system back up and running in 30 minutes. Quick installation, great customer service from the technician..Will recommend to family!!! We opened in 1973 as a small home security systems installation company. We have over 50,000 home and business security systems installed in Houston and surrounding areas! Alert 360 is proud to hold one of the nation’s oldest alarm monitoring systems licenses. Thanks to our loyal customers and them having graciously recommended our security systems to their friends and family members, we are now the fifth-largest home security systems provider in the United States! Check out our special packages – up to 25% off RETAIL! Thousands of homeowners and business operators alike across the Houston area rely on Alert 360 to keep them safe. We also provide our top wireless home security systems and service to hundreds of thousands of customers in 26 states nationwide. We have 15 major branch locations in metropolitan areas and we have partnerships with more than 200 highly qualified Alert 360 authorized dealers. Alarm Monitoring starting at only $15.95! Our unmatched dedication to your safety is backed by the rarely-given Five Diamond Alarm Monitoring designation. Alert 360 is recognized by The Alarm Monitoring Association, a non-profit international trade association representing quality professional alarm monitoring companies. Less than 8% of all alarm monitoring centers have achieved the 5 Diamond monitoring designation! With less than 20 second response time to security notifications from an Alert 360 control panel, why would want to use someone else! Because our alarm monitoring dispatchers are your 24/7 lifeline to your local Houston emergency services, Alert 360 remains 100% committed to upholding our standards of excellence at every moment. PACKAGES THAT FIT YOUR LIFESTYLE AND BUDGET! AS MUCH AS 25% OFF! We apologize if you’ve had to work with one of those old-fashioned, frustrating, kind of rigid security systems that some of our competitors still use and install. And if you have, you will really appreciate our full color, two-way voice touchscreen control panel all the more! Alert 360’s home security and smart automation products are designed to make you feel more safe, secure and your life less complicated. Let us help you reinvent your home with a truly intelligent smart home system that will enable you to see, listen to, and interact with your house with just the touch of a button of your smartphone, tablet or desktop! We offer the best business security options and home security systems in Houston and surrounding areas. These are some of our most popular products in Houston and nationwide! This simple, classic design disguises one of our most powerful security tools. Unassuming though it certainly is, it will enable you to observe in high resolution, listen to, and interact with visitors even if they don’t reach out and ring the doorbell. Your linked smart device will send you an alert when movement sets off your front doorbell video camera’s targeted motion sensor, providing you with maximized front door security. With two-way voice, you’ll be able to communicate with anyone at your doorstep! You’ll be able to capture video footage, still images, and review footage to see what’s been happening in your absences. Your front doorbell camera will work with our free Alert 360 home security app to deliver crisp, full-color, 1080p HD video footage and stills! Although it’s only one point of entry we secure, it’s also probably your home’s main security concern. Keep your home protected with a professionally-installed Alert 360 wireless or Alert 360 smart home camera system. We deliver HD video surveillance from strategically-placed surveillance video cameras, securing your home’s most vulnerable points of entry. The Alert 360 smart home wireless video cameras are fully interactive and will send you an automated alert when its motion detector is activated. As porch package-grabbing activity continues to increase in metropolitan areas, take this step to protect yourself from these thieves, prowling home invaders, and careless acts of vandalism. SWITCH N SAVE AS LOW AS $15.95 PER MONTH! A smart home thermostat will save you money on your energy bills. Up to 15% of energy savings are typical. Control your a/c or heating from your smartphone. Easily preset times to run and at what temperature. You’re heating and a/c unit will thank us! So will your spouse when the bill comes around each month! Did you know that safety features like smart flood detectors, smart fire detectors, and smart locks could help you qualify to save money on your home insurance? Connect with your insurance agent and find out how they might be able to save you money. After all, we all like being rewarded for doing the right thing. Alert 360 provides the best-automated lighting systems, so we encourage you to imagine your ideal ambient light and help us create a setup that perfectly suits your lifestyle. You can program your smart lights to follow your schedule, the flow of light throughout the day, or link them wirelessly to your motion sensors so that they switch on and off with your movement from room to room. Our long-lasting Z-wave energy-efficient LED smart bulbs are soft and restful, allowing you to relax your eyes at home. Enhance your home’s beauty and security as well as your own comfort with customized smart lighting systems. Using on 9 watts that give off 60 watts of lighting, they can last up to 22 years based on 3 hours a day usage! That’s a ton of savings! Fully dimmable these lights can be activated by a push of a button on your smartphone, tablet or desktop! Save some money! Brighten your home with smart lighting creating a smart home while you’re there or away! A recommended security feature! We partner with Yale, one of the world’s most respected and oldest lock manufacturers, ensuring that our customers are protected by the best smart locks on the market. You can ditch your keys! It will feel great to unlock your entrances via keypad, fob system, or on your smart device via the Alert 360 app. If you need to unlock your door for someone and you’re not home, just open our app and you’ll be connected from anywhere on Earth. Three great colors to choose from fit nearly all home color schemes. As long as your garage door has an opener that you bought after 1992, you’ll be able to connect our smart home automated garage door opener and fully automate it and open your door remotely with just a touch of your smartphone. We use the MyQ Geofence to secure your garage; never worry about forgetting to shut your garage door again! Alert 360’s smart home security systems will text or email you immediately if you leave any entrance, whether a door, window, or gate, is opened or disturbed. Know who is coming and going any time…anywhere you are! Call Today or click here to check out our SPECIAL PACKAGES – up to 25% off RETAIL! We are committed to offering truly competitive pricing while still promising the best in home security, smart home technology, and business security systems. Our solutions are cost-effective, they ’re simple, and they are always cutting-edge. Call today to find out how we can best protect your home or business, and those you love most. 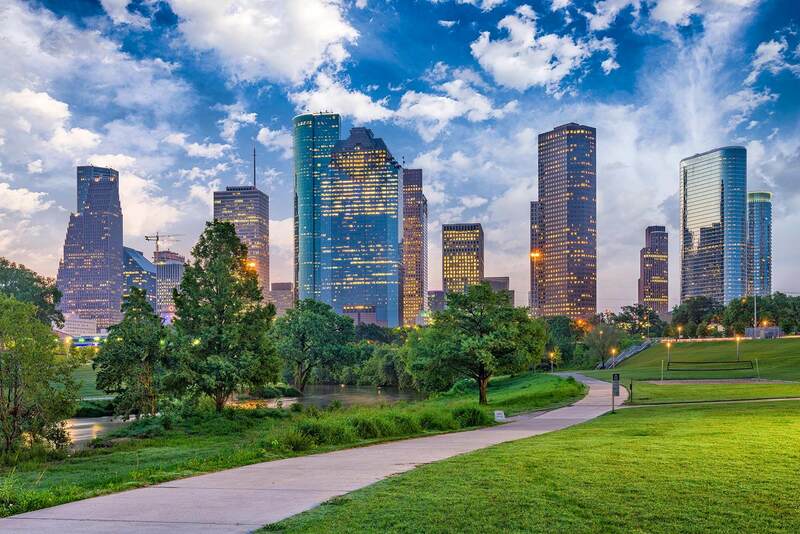 Our Alert 360 Houston offices professionally install home security systems, business alarm services, monitors and services in Houston and these great cities and more!